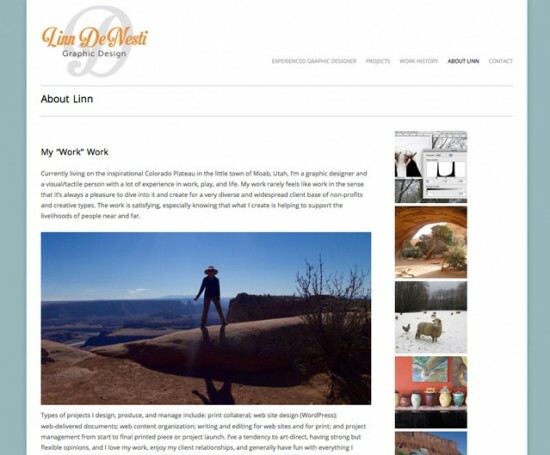 Linn is my partner in design crime and in life. 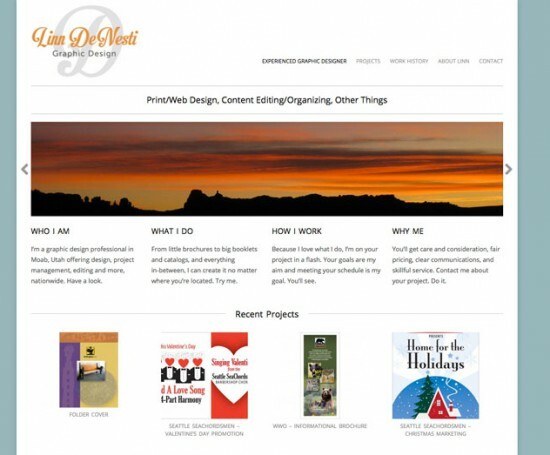 Her site was jointly designed. 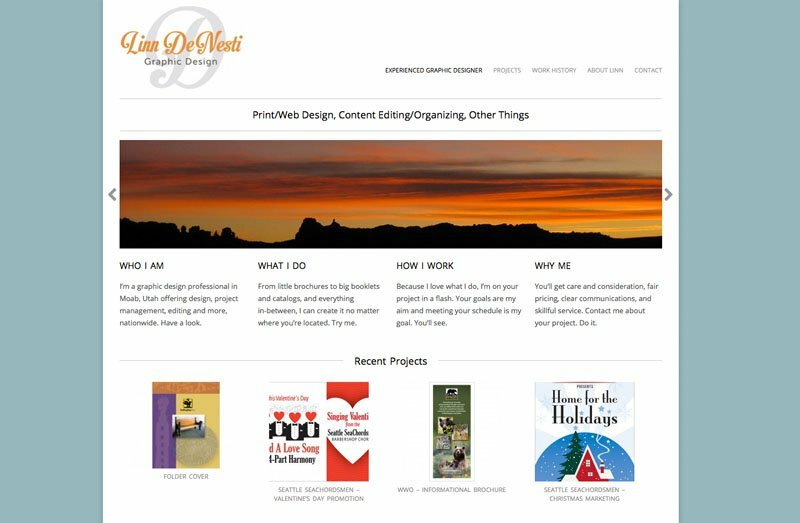 Portfolio sites are always a challenge in that there are always many images to display in several ways. The site needed to convey experience, skill, professionalism, and an approachable personality. 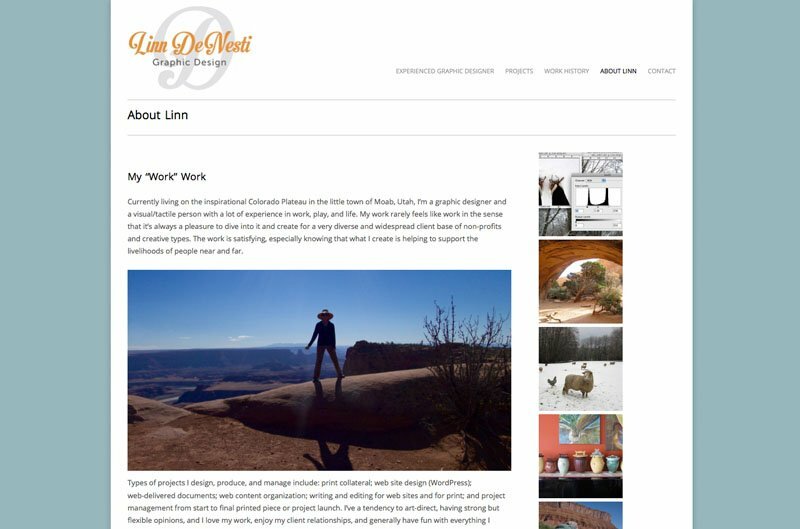 Although Linn does not use her site as a blog, she manages the pages to reflect her personality. The client is very pleased.